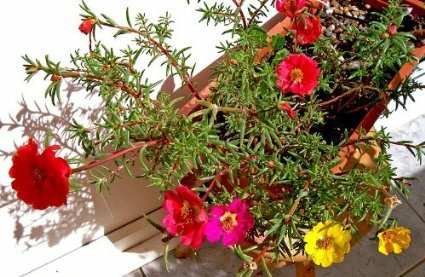 Native to the tropical and warm temperate regions of the world, Portulaca is a genus of succulent, evergreen, annual and perennial plants. In countries which experience freezing conditions over the winter period, all portulaca species will need to be treated as annuals. So when propagating plants for garden use they will all need to be sown under protection in the early spring. 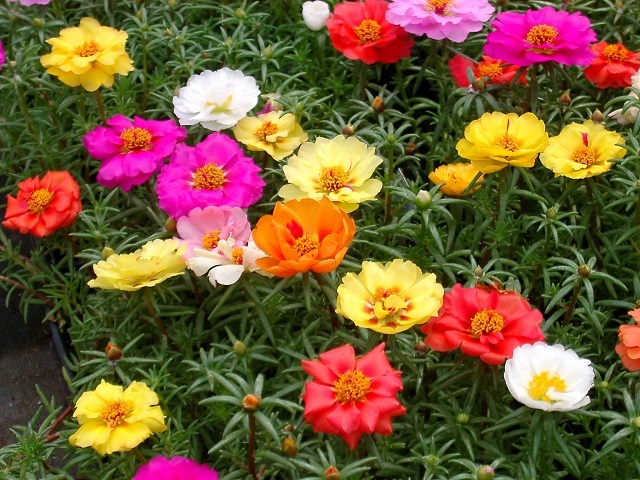 Sow portulaca seeds under protection (as in a heated greenhouse or warm, bright room) from February to March. Using modular seed trays filled with a good quality compost such as John Innes 'Seed and Cutting', sow approximately ten seeds per module. Do not cover the seed with compost as portulaca seeds require the presence of light to help initiate germination, instead place on the surface and gently firm down. If you wish, you can apply a thin layer of vermiculite to the surface, Gently water the compost by allowing it to rise up from the base of the seed tray. This can be achieved by partially sinking the tray into a suitably sized bowl of water. Place the tray inside a heated propagator at a temperature between of 18-21 degrees Celsius. Alternatively seal the seed tray inside a clear polythene bag and leave in a warm bright position, but one which does not receive direct sunlight. You can expect germination to occur within 7- 14 days. Do not exclude light, as this helps germination. Keep the compost moist but do not allow the roots to become waterlogged. Once the roots have established in their modules and are large enough to handle, they can be popped out of their modules and potted on into 3 inch pots at a rate of one module per pot. Try to disturb the rootball as little as possible, the roots do not need to be teased apart prior to planting. The newly potted portulaca can be grown on in cooler conditions such as an unheated greenhouse or cold frame but only once the threat of late frosts have passed - usually by the end of May. After 10-15 days they can be planted outside into their final position. 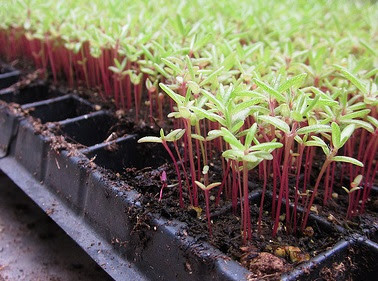 If you do not have the facilities to grow seedlings under protection then direct sow the seeds from the middle of May onwards.